India – famous for its extraordinary textiles and unique embroidered fabrics have mesmerized the global fashion industry. An Indian wedding is one occasion where you will see the beauty of Indian fashion. The wedding is a very special event for both the bride and the groom. It is the day they will look like royalties. The bride will have her own special costume, while the groom might show up in a Nehru jacket or a Jodhpuri coat. 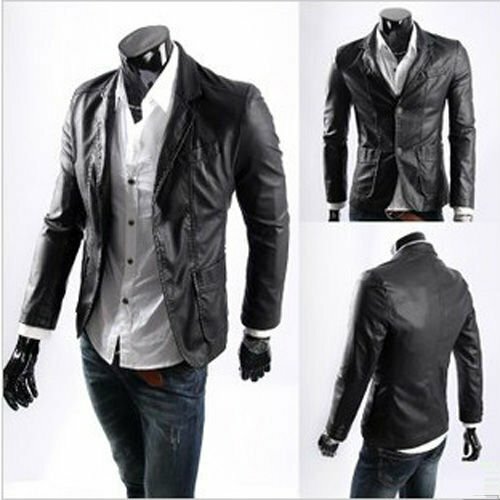 Below are some coats or jackets Indian men love to wear – with or without occasion. 1. Nehru Jacket – A classic piece that was popularized by the first prime minister of India, Jawaharlal Nehru. The length of this slim-fit coat may vary. It will have a row of buttons in front, four or five, and will also have a mandarin collar. 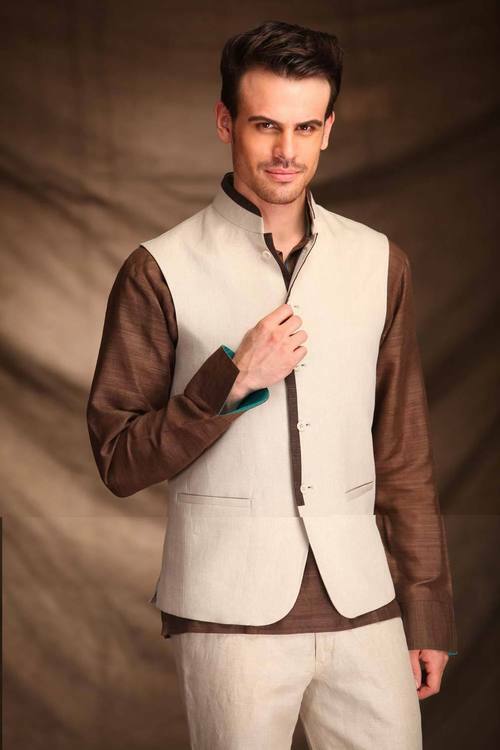 Traditional Nehru jacket will have a more formal look because of its color; mostly black or grey. Modern Nehru jackets however have ‘louder’ or brighter colors like sky blue, light orange, peach and chrome yellow. Indian Prime Minister Narendra Modi started the color change. 2. Sherwani – Originally, the coat is a mash-up between the British frock coat and the Shalwar Kameez. It is used with a Churidar, Khara pajama, salwar or kurta. It may look very similar to a doublet or Achkan, but Sherwani coats have linings and sophisticated well-designed fabrics. 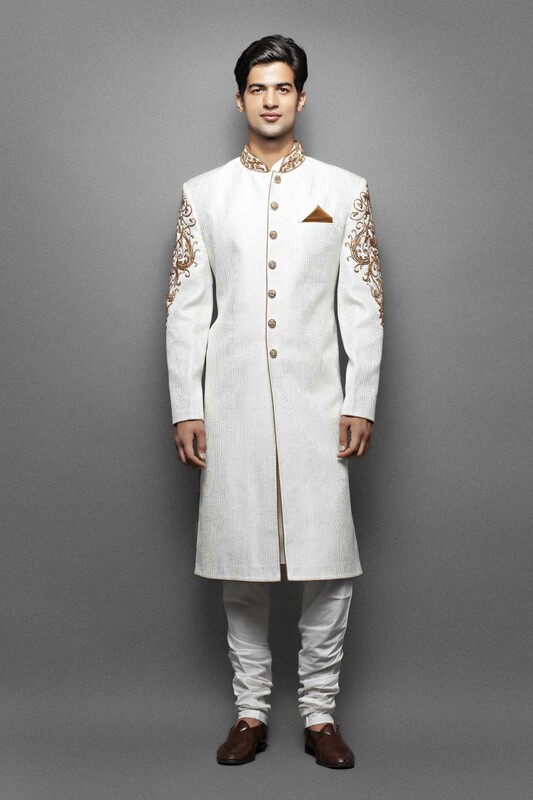 The Sherwani coat is so beautiful and is the most well-known wedding costume for Indian men. It is a long neatly cut coat that reaches the knee. To have that magnificent and elegant look, the Sherwani coat is sewn with embroidery threads. The fabric choices are: cotton, polysilk, crepe, and georgette, silk and brocade. Today, the coat can go with a salwar ,Kurta and Aligarh or churidar pants. Aside from weddings, the Sherwani is mostly seen in Indian family gatherings. 3. Jodhpuri coat – For a more regal style, some Indian men would prefer to use the Jodhpuri or Bandhgala coat. It is India’s answer to westerns tuxedo. Because of its prince-like look, the coat is also called ‘Prince’ coat. The suit may have matching trousers . Other features of the Jodhpuri coat are: the fabric choice would be more formal like wool ; has a Mandarin collar ; some Zardosi embroidery. Because of the unique patterns used in a Jodhpuri coat it is not advisable to use accessories like flowers, scarves or jewelries. 4. Trench coat – The first trench coat, manufactured by Aquascutum in 1850, used poplin heavy-duty cotton gabardine drill or leather materials. The length of the coat may vary; shortest would be above the knee while the longest would be ankle-length. It may or may not have a belt. Today, trench coats have different colors; and uses other fabric materials to give it a modernized look. 5. Leather Jacket – The leather jacket was first known as ‘bomber jackets’ because it was mainly used by airmen of the military. A shirt under the jacket is acceptable. The main ‘fabric’ material of a leather jacket would be animal hide. Because of the warmth in animal hide materials, leather jackets are best used in cold areas. And there you have it, five marvelous coats for Indian men. If you are fashion conscious, then it’s time to go over your closet, get rid of the out-dated coats and get the latest. Be in trend now!